The CMS has lifted sanctions it levied on Cigna Corp. in January 2016 after finding major problems with the health insurer's Medicare Advantage plans, Cigna said Friday. Bloomfield, Conn.-based Cigna may immediately resume marketing its Medicare Advantage and Part D plans, and begin enrolling members with effective dates beginning July 1, according to a Securities and Exchange Commission filing. "We are a better and stronger company as a result of collaborating with CMS and investing further in our processes and technology over the past year and half," Shawn Morris, interim president of Cigna's Medicare Advantage business, Cigna-HealthSpring, said in a statement. Cigna has spent more than a year trying to resolve issues with its Medicare Advantage plans. The federal sanctions barred the company from marketing and selling its Medicare Advantage policies to new beneficiaries. The CMS said Cigna plans "posed serious threats to the health and safety of Medicare beneficiaries." For example, Cigna inappropriately denied medical care and prescription drugs to its members. Cigna was also hit with lower Medicare Advantage star ratings last October following a CMS audit. Cigna had only 20% of its members in plans rated four stars or higher. The company has said it doesn't believe the star ratings reflect the quality of its plans. The federal sanctions have dented Cigna's enrollment and revenue. Cigna enrolled 441,000 Medicaire members as of March 31, down 20% from the period in 2016. Cigna's Medicare premium revenue totaled $1.5 billion in the first quarter of 2017, down 18% over last year. Cigna previously said it expected the sanctions to weigh down its revenue for the remainder of the year. Cigna also said Friday that it expects about 60% of its Medicare Advantage customers will be in a plan with four stars or more for 2018. Medicare's annual enrollment runs from Oct. 15 through Dec. 7. 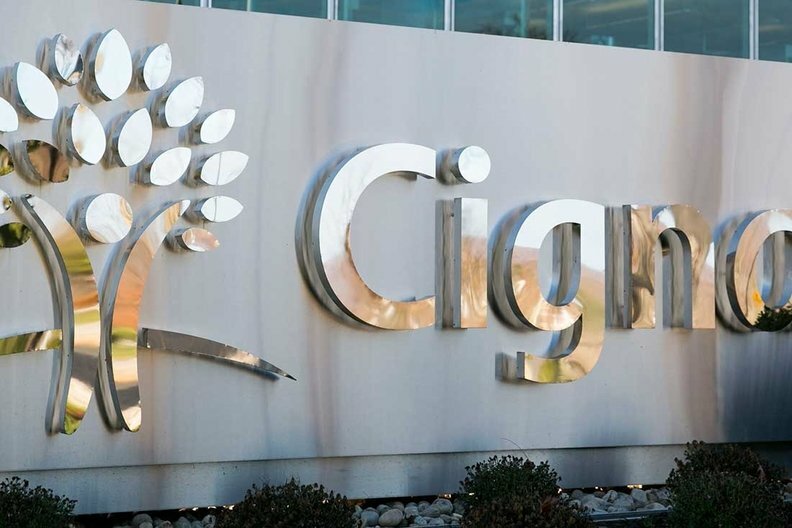 Insurance industry analysts noted that the lifted sanctions pave the way for Cigna to pursue an acquisition in the lucrative Medicare Advantage segment. Any acquisition would likely require divestitures, but it would have been difficult for Cigna to sell its Medicare Advantage business while under sanction. Analysts say Humana is a likely target.